G-Force is a wild ride for up to 3 thrill-seekers! 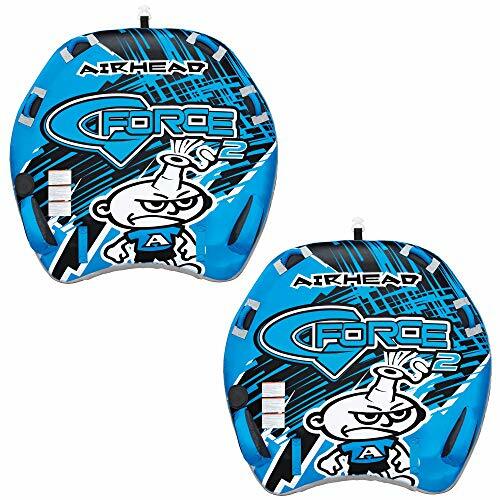 Defy centrifugal force with G-Force’s topside stabilizer fins. The 6 deluxe nylon-wrapped handles with neoprene knuckle guards provide a sure and comfortable grip. 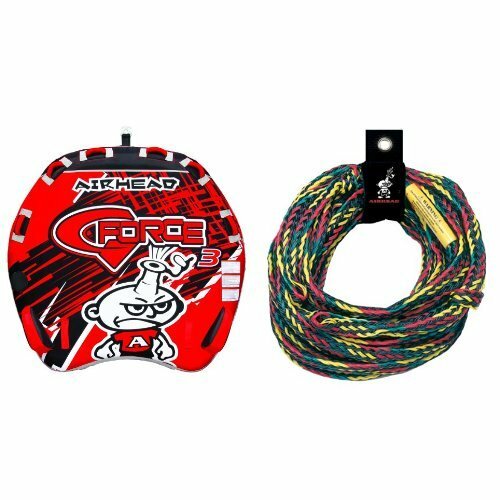 G-Force has a tough 30-gauge virgin PVC bladder, fully covered with an 840-denier double-stitched nylon cover. G-Force is 78˝ x 75˝ (deflated) and is equipped with a heavy-duty Kwik-Connect for easy and secure hook-ups. A Speed Safety Valve provides the ultimate in inflation and deflation convenience. Limited 1 Year Warranty. Airhead G-Force is a wild ride for up to 2 thrill-seekers! 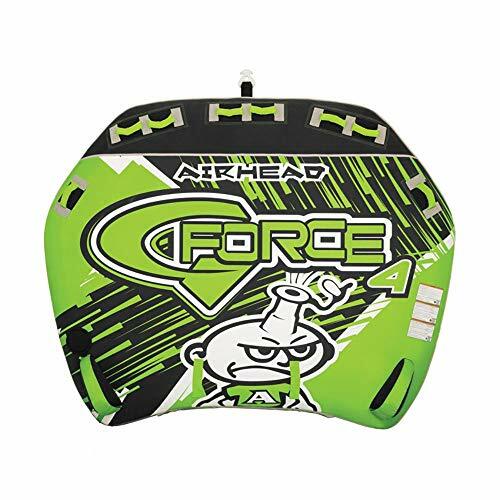 Defy centrifugal force with G-Force’s topside stabilizer fins. The 4 deluxe nylon-wrapped handles with neoprene knuckle guards provide a sure and comfortable grip. 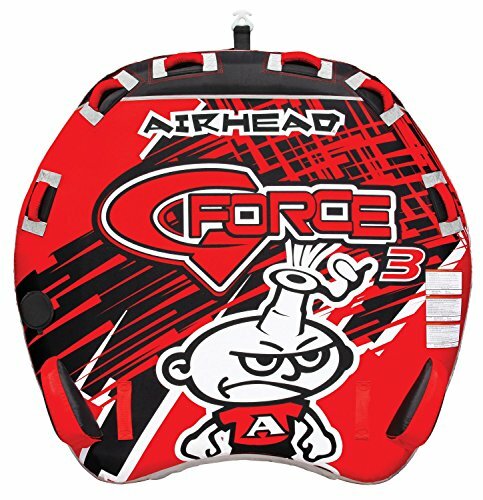 G-Force has a tough heavy gauge virgin PVC bladder, fully covered with a durable double-stitched nylon cover. G-Force is 64˝ x 60˝ (deflated) and is equipped with a heavy-duty Kwik-Connect for easy and secure hook-ups. A Speed Safety Valve provides the ultimate in inflation and deflation convenience. Limited 1 Year Warranty. G-Force 2 is a wild ride for up to 2 thrill-seekers! Defy centrifugal force with G-Force’s topside stabilizer fins. The 4 deluxe nylon-wrapped handles with neoprene knuckle guards provide a sure and comfortable grip. 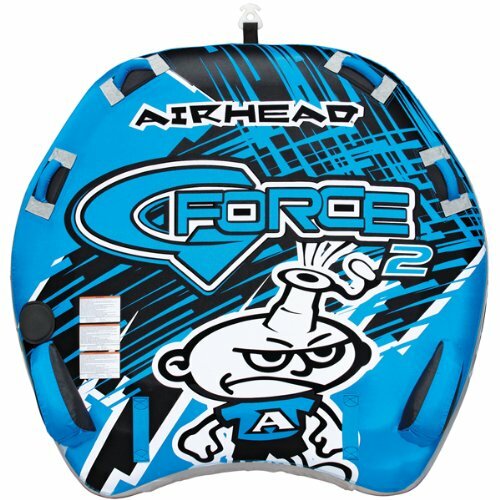 G-Force 2 has a tough heavy gauge virgin PVC bladder, fully covered with a durable double-stitched nylon cover. G-Force 2 is 64˝ x 60˝ (deflated) and is equipped with a heavy-duty Kwik-Connect for easy and secure hook-ups. A Speed Safety Valve provides the ultimate in inflation and deflation convenience. These G-Force tubes are a wild ride for up to 3 thrill-seekers! Defy centrifugal force with G-Force's topside stabilizer fins. 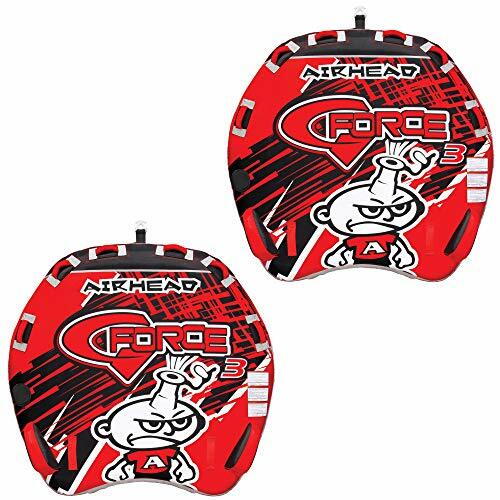 The 6 deluxe nylon-wrapped handles with neoprene knuckle guards provide a sure and comfortable grip. G-Force has a tough 30-gauge virgin PVC bladder, fully covered with an 840-denier double-stitched nylon cover. G-Force is 78? x 75? (deflated) and is equipped with a heavy-duty Kwik-Connect for easy and secure hook-ups. A Speed Safety Valve provides the ultimate in inflation and deflation convenience. 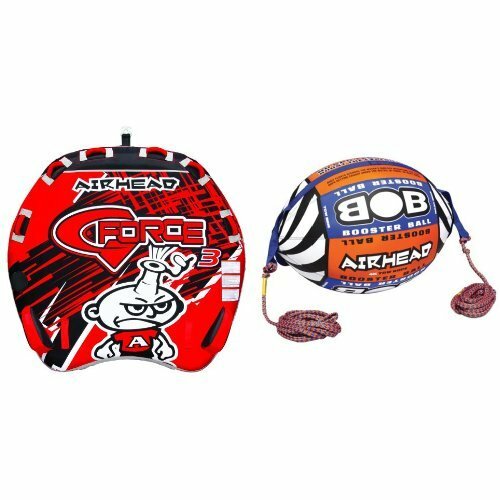 Hit the water this summer without it hitting you back when you tube using these 2 Airhead G-Force 2 Inflatable Double Rider Towables. Each tube holds 2 riders at once and has 2 inflatable stabilizer fins that help it balance, keeping you on board and out of the lake. This towable has 4 nylon handles nylon and neoprene knuckle guards, so sturdy even white knuckle riders will feel comfortable. The tube is built to last with a heavy-gauge PVC bladder fitted in RF welded seams and covered in a double-stitched full nylon cover. Fly across the water on a tube and not your backside when you ride these 2 G-Force 2 tubes. 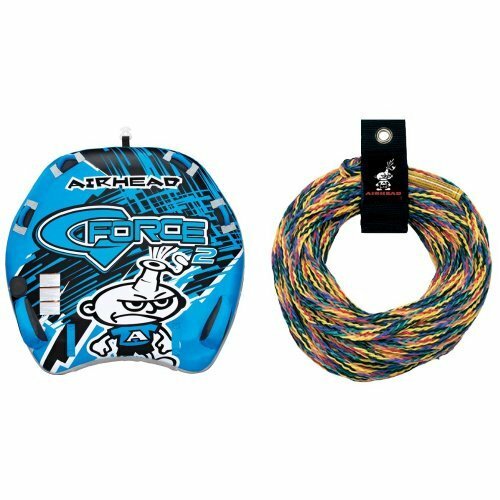 Shopping Results for "Airhead G-force Towable"